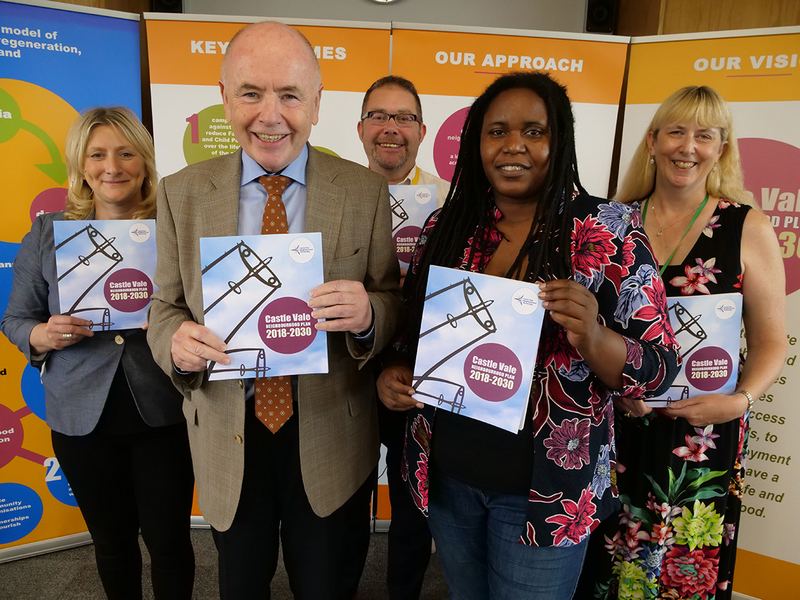 Castle Vale’s Neighbourhood Partnership Board has unveiled its latest Neighbourhood Plan that has been shaped by residents over the last eighteen months. Launched on Friday 14th September at Greenwood Academy, the plan presents a clear vision to create stronger, healthier and happier communities. The strategy sets out 38 policy priorities and 24 initial partnerships actions to deliver across the four focus areas; Economy, Health, Environment and Community. Key points include tackling the issue of family poverty in Castle Vale, access to learning opportunities to improve employment prospects for residents and providing quality homes in safe neighbourhoods. It has been twenty-five years since the original neighbourhood transformation was planned, delivered and sustained – that’s quite a milestone to celebrate. A whole generation has benefited from this and the new plan seeks to extend that offer to the next generation for another twenty-five years!